These 1 percenters are really losing their damn minds. David Siegel, the owner of Westgate Resorts, shocked a lot of people when he sent an email to his employees basically saying they would lose their jobs if President Obama was re-elected. I started this company over 42 years ago. At that time, I lived in a very modest home. I converted my garage into an office so I could put forth 100% effort into building a company, which by the way, would eventually employ you. We didn't eat in fancy restaurants or take expensive vacations because every dollar I made went back into this company. I drove an old used car, and often times, I stayed home on weekends, while my friends went out drinking and partying. In fact, I was married to my business - hard work, discipline, and sacrifice. Meanwhile, many of my friends got regular jobs. They worked 40 hours a week and made a nice income, and they spent every dime they earned. They drove flashy cars and lived in expensive homes and wore fancy designer clothes. My friends refinanced their mortgages and lived a life of luxury. I, however, did not. I put my time, my money, and my life into this business --with a vision that eventually, some day, I too, will be able to afford to buy whatever I wanted. Even to this day, every dime I earn goes back into this company. Over the past four years I have had to stop building my dream house, cut back on all of my expenses, and take my kids out of private schools simply to keep this company strong and to keep you employed. Obviously, our present government believes that taking my money is the right economic stimulus for this country. The fact is, if I deducted 50 percent of your paycheck you'd quit and you wouldn't work here. I mean, why should you? Who wants to get rewarded only 50 percent of their hard work? Well, that's what happens to me. Here is what most people don't understand and the press and our Government has chosen to ignore - to stimulate the economy you need to stimulate what runs the economy. Instead of raising my taxes and depositing that money into the Washington black-hole, let me spend it on growing the company, hire more employees, and generate substantial economic growth. My employees will enjoy the wealth of that tax cut in the form of promotions and better salaries. But that is not what our current Government wants you to believe. They want you to believe that it somehow makes sense to take more from those who create wealth and give it to those who do not, and somehow our economy will improve. They don't want you to know that the "1%", as they like to label us, pay more than 31% of all the taxes in this country. Thomas Jefferson, the author of our great Constitution, once said, "democracy" will cease to exist when you take away from those who are willing to work and give to those who would not." CNBC provided some excellent background on Siegel just to further give you an idea of what type of person this man really is. 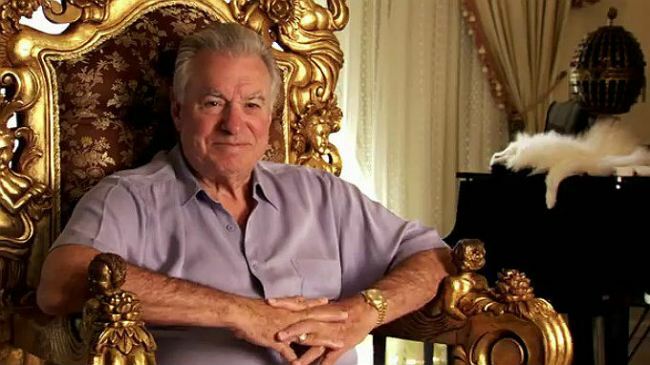 David Siegel is the man who, together with his wife, Jackie, built the largest new house in America, known as "Versailles." His story first appeared in my book, "The High-Beta Rich." It then made it to the big screen with documentary film "The Queen of Versailles." They became symbols of outsized spending, debt and real estate in America. But when the company started buckling under $1 billion in debt during the crisis, the Siegels' home went into foreclosure and was put up for sale. They cut back on the jet, took the kids out of private school and gave up some of their staff. So why is David Siegel - a man who defined excess and debt in the 2000s - now saying that debt and spending are ruining the country? I asked David during a phone interview last night, and he told me that this was about his workers, not himself. He said his own finances have vastly improved. He has paid off all of his major lenders. "I have enough money for the rest of my life and enough to leave a good inheritance for our kids." He said the loan for Versailles is paid off and he's resuming construction on the home. "The elevators are going in and they're preparing to put in the marble." The deal with Versailles' lenders, he went on, worked out "better than I imagined," since he was allowed to go nine months without making any interest payments on the loan. Jackie has several offers for a new reality TV show "which we're in the process of ranking and evaluating," Siegel said. He has learned his own painful lesson from the debt crunch. "We cut back, we're lean and mean. That's what the rest of the country has to do." I just don't understand how it's possible for poor people in Mississippi to be voting the same way that someone like David Siegel would vote. It justs boggles the mind.